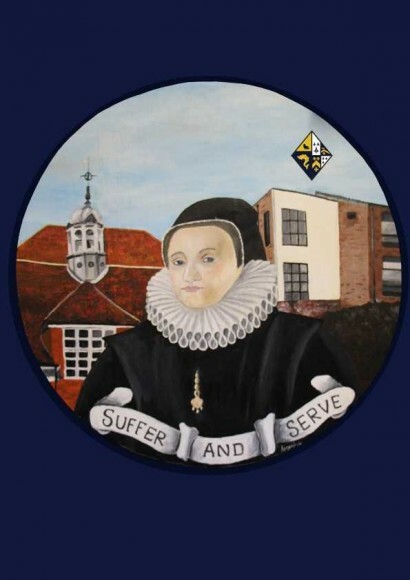 In a move to forge closer links between the village and Joyce Frankland Academy, the art department was approached by Newport Magazine to run a competition for our students to design a suitable 'Newport-related' image for the cover of their summer 2019 edition. 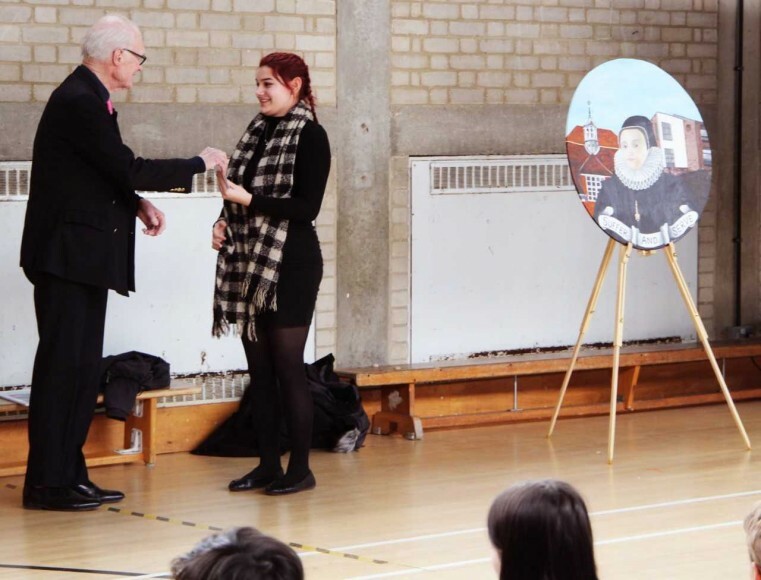 Anezka Gilder-Wood, who is currently studying five A'Level subjects, including Art, entered her portrait of our founder, Dame Joyce Frankland. 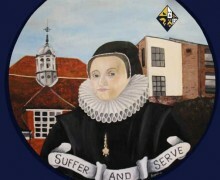 This work had originally been commissioned by Mr Roberts for the Founders Service at St' Mary's Church at the end of January. 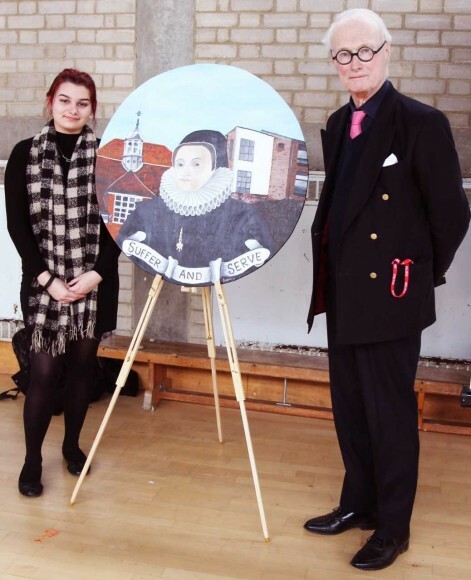 Anezka wanted to add a modern twist to her depiction of the school's founder, Dame Joyce Frankland, and so made the decision to use a circular board, recycling an old piece of work in the Art rooms. 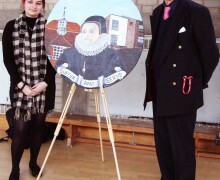 Her piece also includes two of the school's buildings: the oldest part of the school, Shackleton Building , and the newest, The Peake Building. 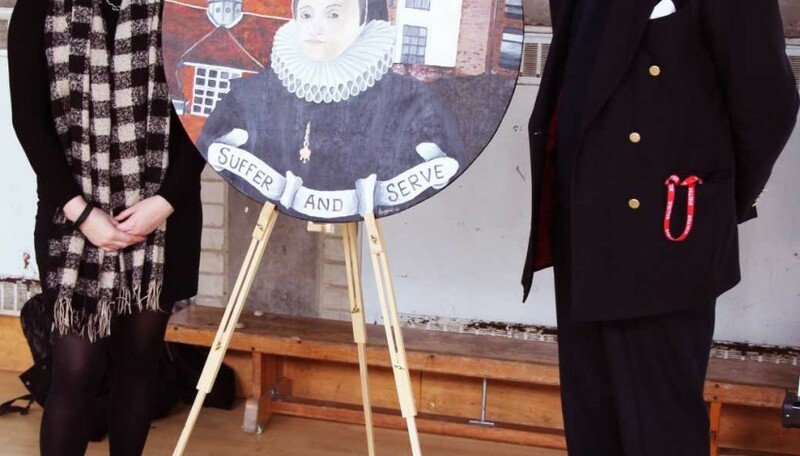 Incorporating these two buildings highlights our deep historical links to the past as well as our present and future; to this end Anezka also chose to include the old school motto - 'Suffer and Serve' - along with the newly designed school crest. 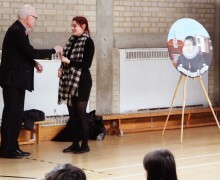 Anezka's depiction, which will appear on the Summer 2019 edition of Newport Magazine, is due to be hung in the school's reception area so that it can be enjoyed by all who visit the Academy.